Having bought this product to hopefully improve my game and stop my hands from slipping on the club, i found i diid exactly the opposite of that. Horrible to work with and left a sticky residue on everything that touched it. this is totally the best towel, that has been made in the history of golf. What is Gorilla Gold? It's a towel that's impregnated with a solution that allows you to “tack up” your grip to meet the conditions of the day you play. Does Gorilla Gold work in the rain? Let it rain! Gorilla Gold helps you maintain the perfect grip and feel even in the worst downpours when it's nearly impossible to keep your grip dry. How about humidity? No matter how humid the weather, how much you're sweating, or how hard it's raining, a little Gorilla Gold allows you to grip with complete confidence with no fear of losing the grip or having it slip in your hand. Why does Gorilla Gold work? It instantly repels moisture and gives you a better “feel” for the club. What gives Gorilla Gold its tackiness? Gorilla Gold is made with beeswax. It's clean and non-toxic and dissipates quickly from your hands after a few minutes. It even leaves your hands feeling softer. Do I have to clean my grip after I use Gorilla Gold? No. It dissolves from your club's grip, and doesn't build up. It normally dissipates within several hours, so you'll have to “tack up” on your next day of play. How often do I use Gorilla Gold? You can use Gorilla Gold as often as you want. Some players like to tack up their grips just once or twice a round but some use Gorilla Gold every time they pick up a club. How do I use Gorilla Gold? Most players unfold the towel so that it's the size of a washcloth. Then, simply squeeze the cloth on your grip to get the desired tackiness. Use it lightly for a little tack and squeeze harder for more tack. Can I apply Gorilla Gold to my hands? Although most players apply Gorilla Gold directly to their grip, many players find gently squeezing the towel in their hands is enough. 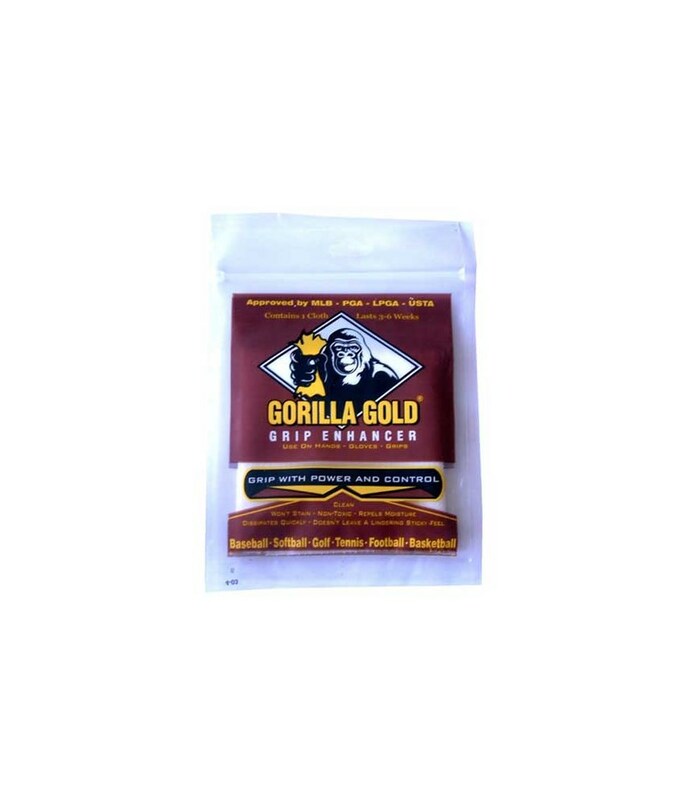 Is Gorilla Gold safe for gloves? Yes. It can enhance the performance of your gloves whether you use one or two. 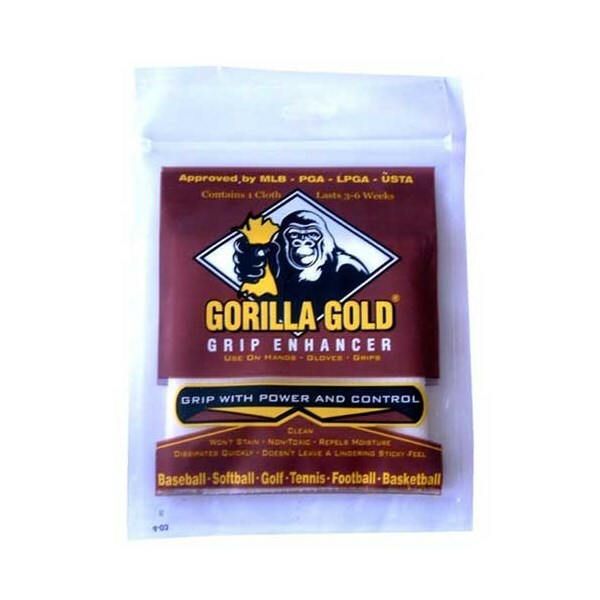 How does Gorilla Gold help my grip? Players are reporting that Gorilla Gold has improved scores because they're no longer over-gripping to compensate for a lack of feel. Just feel Gorilla Gold, and you'll instantly sense that you don't have to hold onto the club so hard. I have arthritis. Can Gorilla Gold help me? Yes. With Gorilla Gold, you can have a sure, confident grip without having to grip as hard. 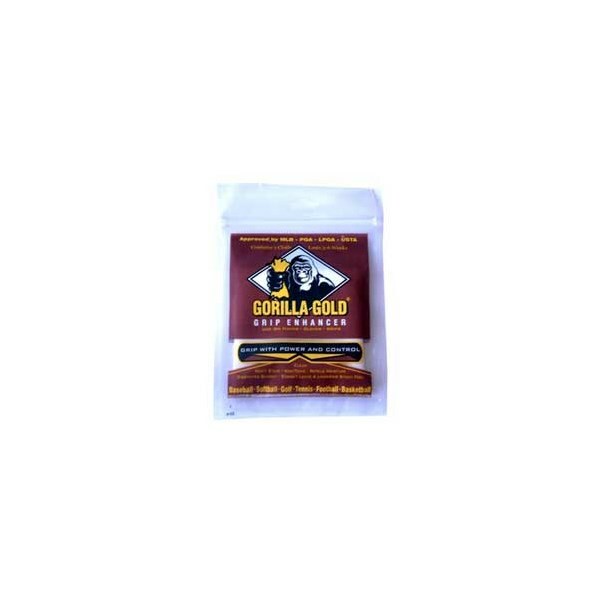 Is Gorilla Gold only recommended for rain or sweaty hands? Some players use Gorilla Gold all of the time, because they like the tacky new grip feel it gives them. It also works great in extreme cold conditions. How long does Gorilla Gold last? Most golfers who play 2 to 3 times a week are using one package a month. If you play once a month, and you keep it in its resealable bag it should last you all year. Is Gorilla Gold a “tack cloth” like I can get at the hardware store? No. In fact, it performs the opposite function. A tack cloth is designed to pick up fine particles and leave no residue on the surface, whereas Gorilla Gold is manufactured and formulated to deposit a residue onto the surface.